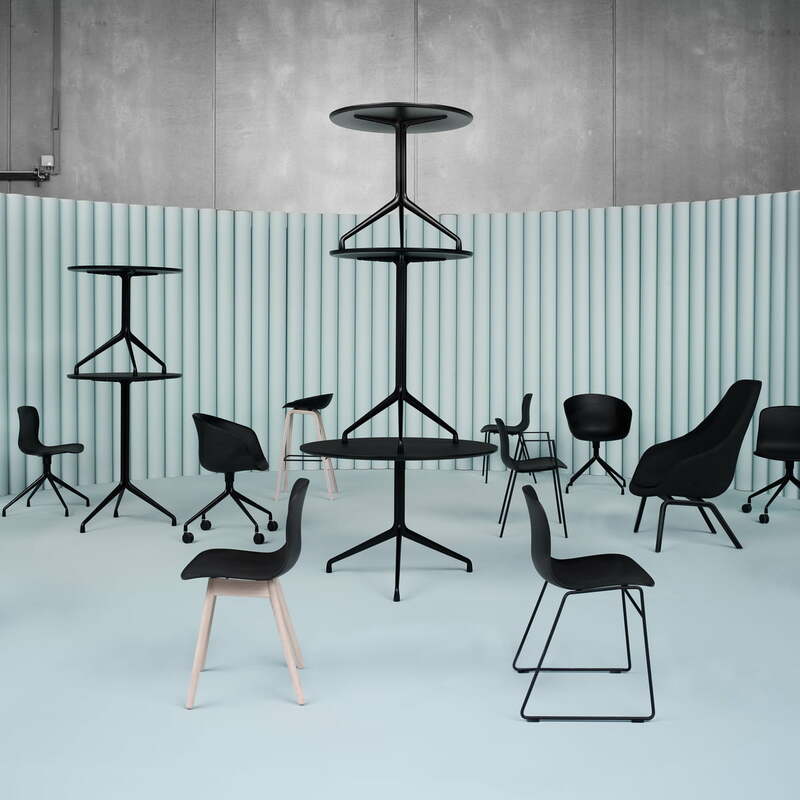 The About a Hay series is one of the most diverse collections by the Danish manufacturer. In the beginning there was a chair, and from then on the series continued to develop. 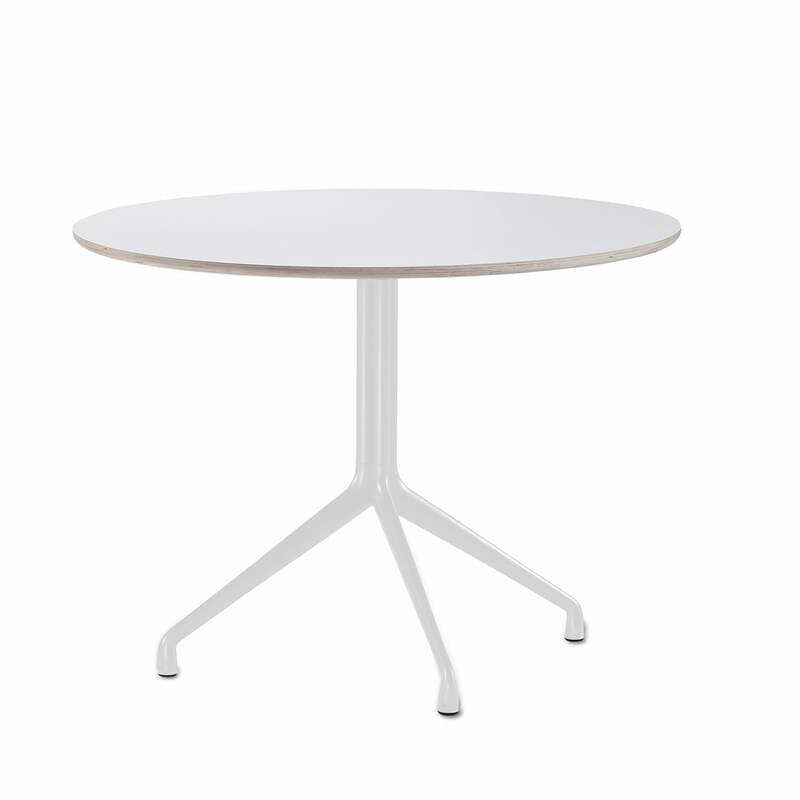 The AAT 20 dining table is a round table of various sizes, that is ideal for the kitchen or dining room. The frame of the About A Table AAT 20 dining table is based on the four-legged bases from the About A Chair collection. With its simple yet independent design, the tables have a soothing effect in any room and do not appear obtrusive in any way. The table from Hay's About Collection designed by Hee Welling is therefore equally well suited for private rooms as it is for public use. 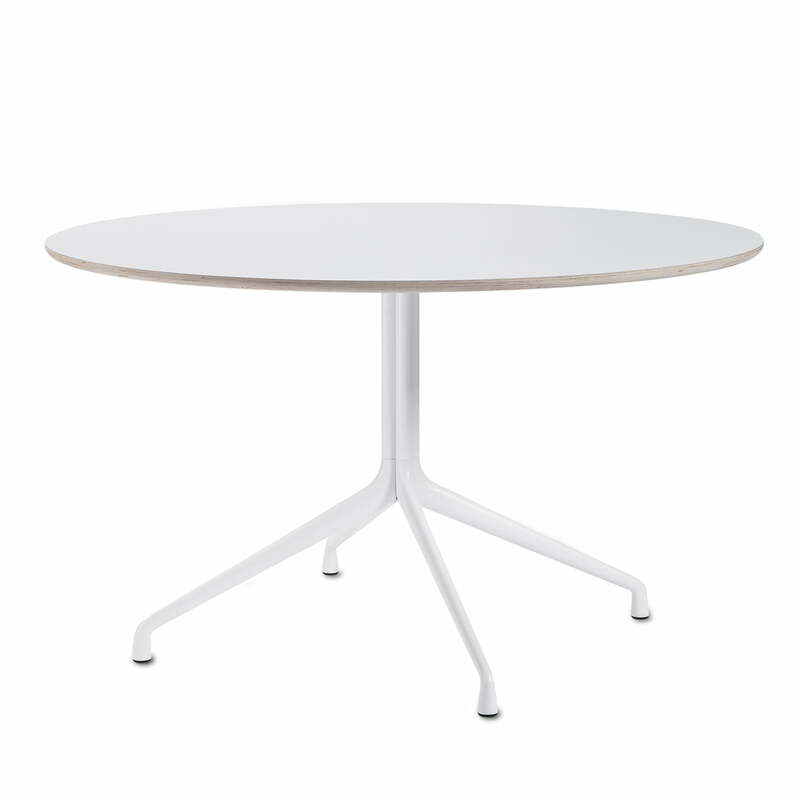 Hay manufactures the About A Table AAT 20 dining table with a base made from powder-coated aluminium. The 23 mm thick table top is made from plywood, that is optionally coated with laminate or linoleum. The white laminate version of the tabletop has a rough wooden edge, while the black linoleum version also features a black edge. The countless combinations of the About A Table series and the accompanying Hay chairs make it possible to individually configure the dining space in a harmonious way. 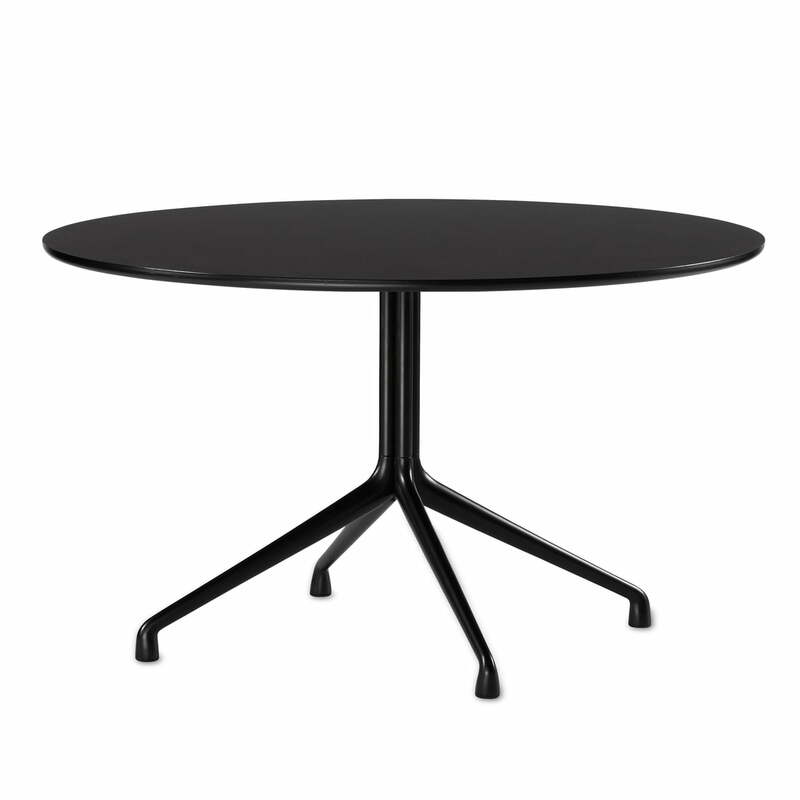 Thanks to its round shape, the versatile Hay AAT20 dining table is perfect to have a conversation when dining. On demand, the AAT is also available as a smaller bistro table, a higher standing table as well as a rectangular dining table. Isolated product image: Hay manufactures the About A Table AAT 20 dining table with a base made from powder-coated aluminium. The 23 mm thick table top is made of plywood.